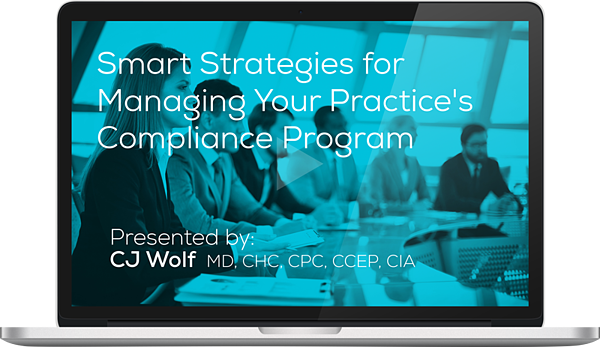 How to Get (and Keep) Your Practice Compliant. The number of settlements with the government for issues of non-compliance are on the rise. And experts estimate that most physician practices are making mistakes. So, improving physician practice and compliance program management is pretty crucial to stay afloat and profitable. Fortunately, there are helpful tools for both managers and the compliance staff that can simplify operations and help to ease your burden of all the extra responsibility. Filling out the form below will allow you to watch for the webinar for free. On the next page you will then have the option to purchase a CEU for $30. This program meets AAPC guidelines for 1.0 CEU. It can be split between Core A , CPCO and CPMA. On-Demand views require successful completion of post-test for continuing education units. You will receive your CEU in a separate email after watching the on-demand recording.